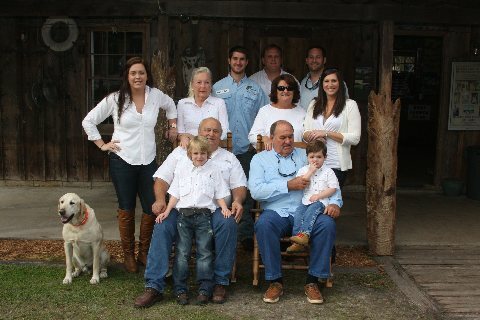 Highland Park Fish Camp has been a family owned and operated business since our parents purchased it in 1962. Recently, we proudly celebrated our 54th year of continuous operation. In the beginning, Highland Park Fish was a sleepy little camp on an old logging canal that connected to the St. Johns River. Fishing was great and along with our three sisters, we helped our parents after school and learned the ways of the river from our Father. Over the years many things have changed. We have improved and modernized the facilities adding a campground, cabins, guides and offering more boat rentals. One thing that has not changed is the great fishing on some of the most productive and beautiful freshwater in Florida. The middle St. Johns and connecting lakes has long been known as a fisherman’s paradise for largemouth bass and panfish. Lake Woodruff, in particular has been cited by the State of Florida for its premier fishing. The national wildlife refuge that surrounds our property is dedicated to preserving and protecting Lake Woodruff, Lake Dexter, and miles and miles of connecting waterways. You will find no development there, just pristine fishing water and abundant wildlife to enjoy forever. Highland Park Fish Camp is an original. We have found a way to offer all the modern conveniences, while still maintaining the “old Florida” charm that is fast disappearing. We have a family friendly atmosphere and our 3rd generation family staff will always strive to make your fishing adventure enjoyable and productive.